After a two-year renovation, The Mauritshuis will reopen to the public from June 27, 2014. Its famous collection of paintings, including Girl with a Pearl Earring, will be back exposed to the Mauritshuis, now renovated and expanded. For this event, and after the official opening day, the Museum will be open for visitors till midnight. 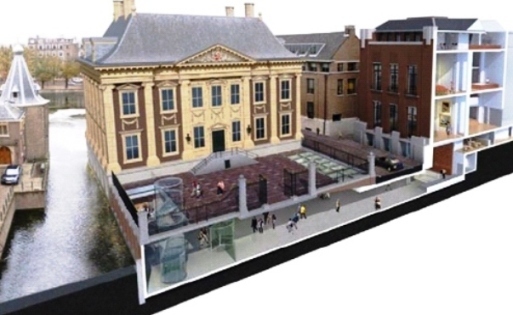 The renewed Mauritshuis sees a doubling of the surface due to underground expansion that extends up to the building in front of the museum. In this way we wanted to preserve intact the character and appearance of the original museum. In the new section, called Royal Dutch Shell Wing, are the exhibition space, a bar and a museum shop, as well as the teaching laboratory, library and lounge events. But the most noticeable change regards the main entrance, which was relocated on the forecourt. Visitors will not access more through the service entrance, but will reach by stairs or lift the basement, finding himself in a bright foyer that combines old and new. The Mauritshuis is located in The Hague, Plein 29. Opened from Tuesday to Sunday (but from November 1 the Mauritshuis will also be open on Mondays) from 10.00 to 18.00, on Thursdays until 20.00. Tickets for adults to 14.5 EUR, free (and good news) for children up to 18 years.